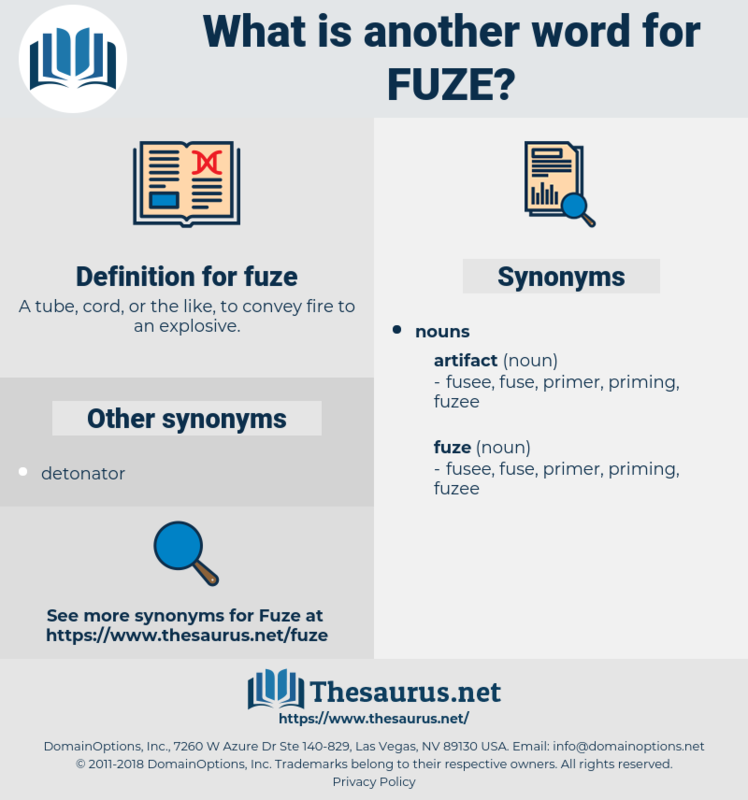 What is another word for fuze? A tube, cord, or the like, to convey fire to an explosive. 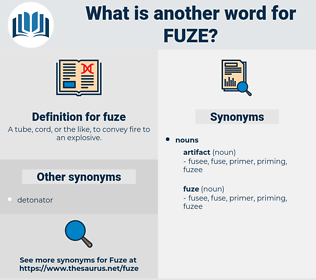 This is the fuze which is used in the preparation of the jam - tin bomb: an instrument of destruction which has caused much amusement to the frivolous. He told me that they were producing almost entirely high - explosive shells and hardly any shrapnel, and that an enormous improvement was being made in the pattern of fuze, from which great results were expected. safety fuse, time-fuse, detonating fuse.